Overwhelm. Overthinking. Overdoing. Entrepreneur and transition expert Rikke Hansen shares how women in business in their 30s and 40s can stop the self-sabotage and make the leap to build their ideal businesses and lives. We’ve all been there. In overwhelm. Overthinking everything. Tormented by self-doubt. Trying to make everything perfect. Self-sabotaging ourselves in ways we don’t even know. 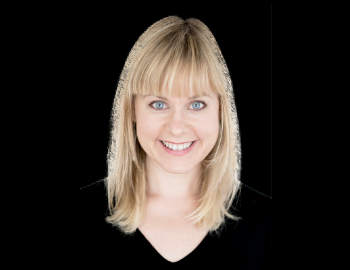 Rikke Hansen knows firsthand what that’s about – and that’s why she now helps professional and entrepreneurial women in their 30s and 40s refocus their lives (and businesses) – nailing down exactly what they really want to do next so they can be in alignment with their true talents. Rikke made the leap from F500 to entrepreneurship and also helps women like her make that same leap. Rikke climbed the corporate ranks at Morgan Stanley, Shell and Citigroup Asset Management, focusing on HR. Then she created her international transition consultancy, Rikke.me. Her frank and client-tested advice has been featured in The Guardian, The Huffington Post and The Observer. And other great tips for women in business and much more!